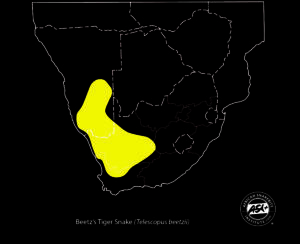 Map indicating the distribution of the Beetz’s Tiger Snake (Telescopus beetzii), within Southern Africa. 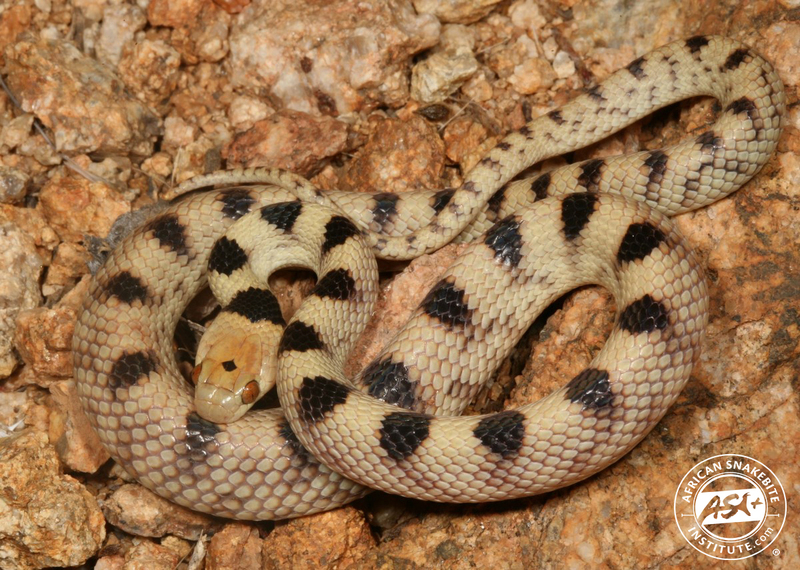 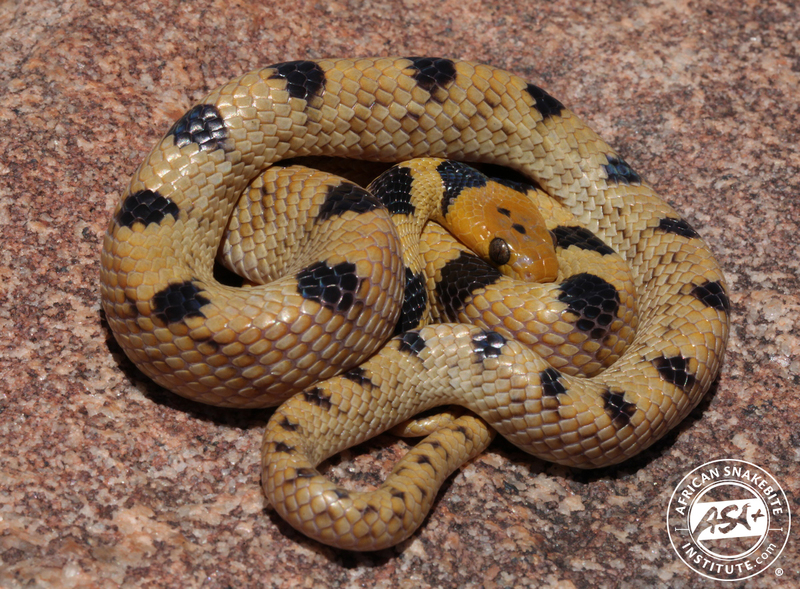 A beautifully-marked nocturnal snake that averages 60 cm with a maximum length of 68 cm. 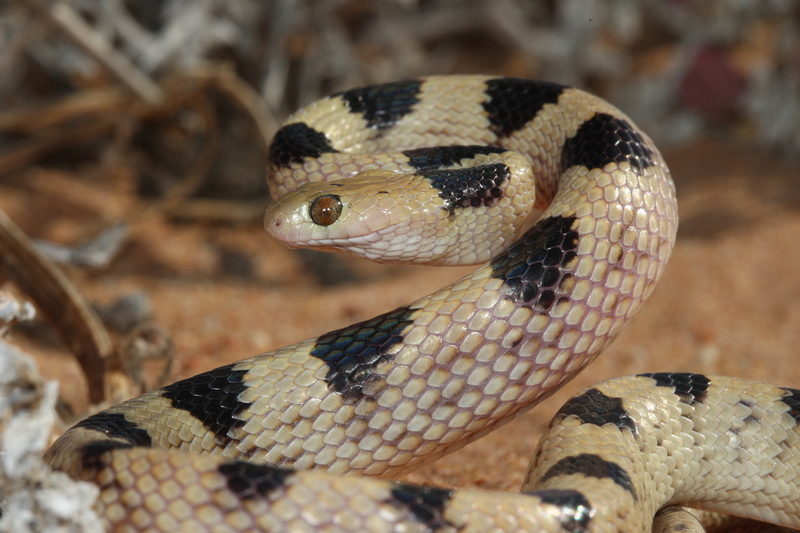 It inhabits the rocky regions of Namaqualand and the Karoo extending into southern Namibia. 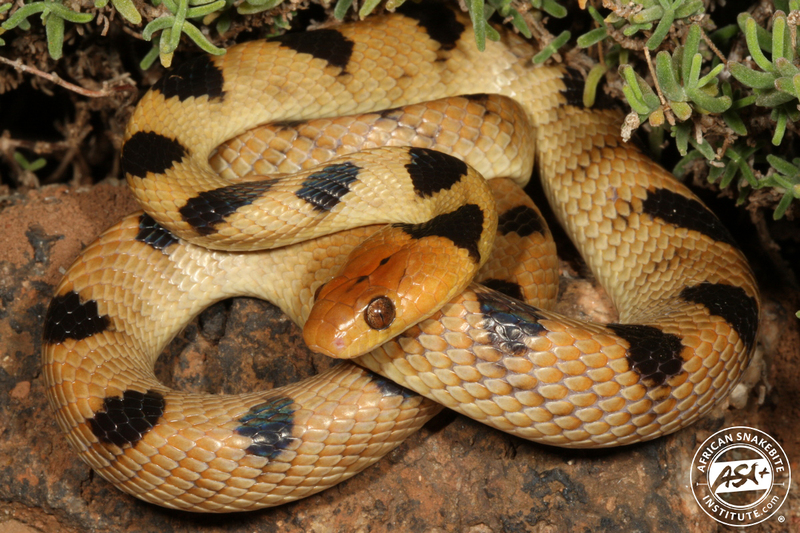 This snake is quite common in certain areas and often killed at night on the roads. 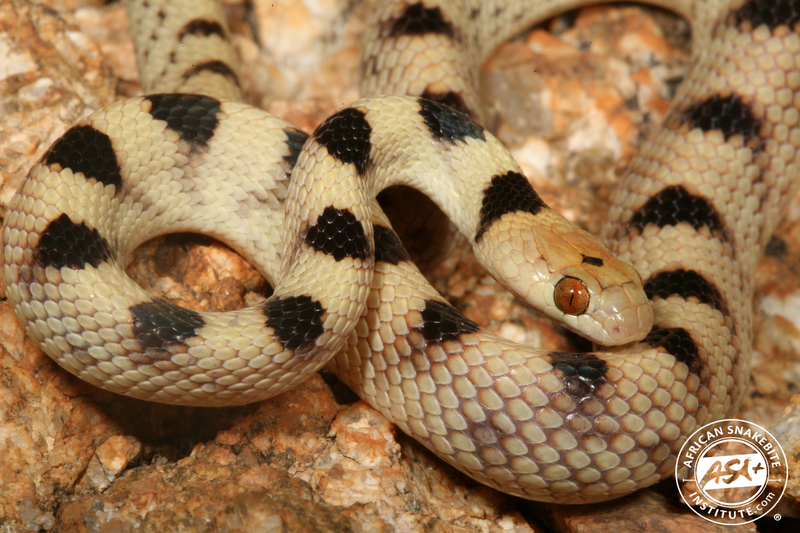 When cornered it performs like the Herald Snake, coiling up with its head drawn back and will strike with an open mouth, biting readily. 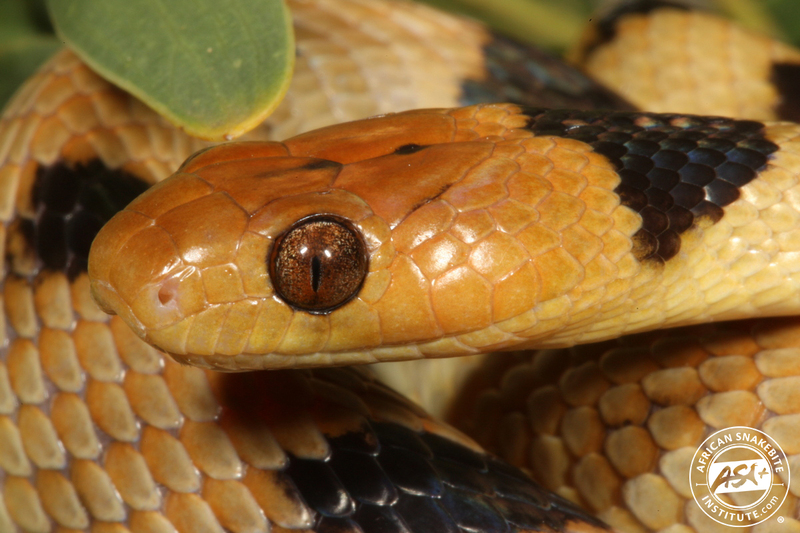 Beetz’s Tiger Snake feeds on lizards and geckos. 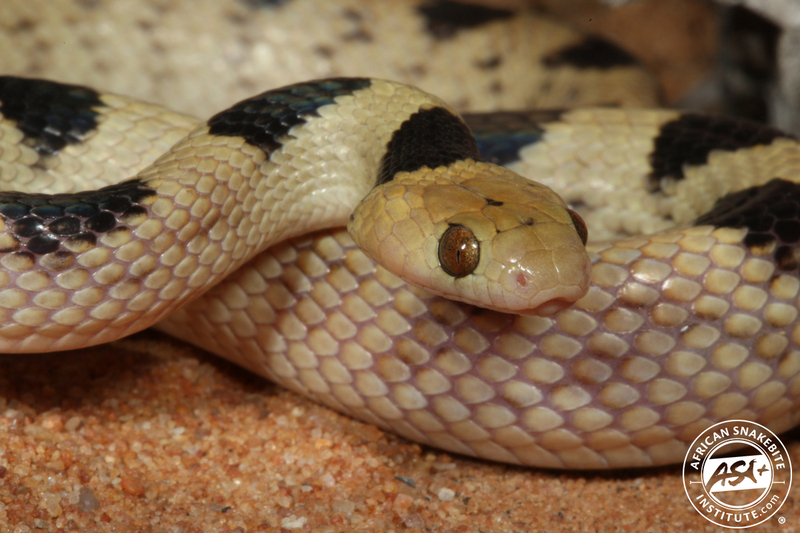 It’s venom is mild and has little effect on humans with mild swelling.